The Emergency Fishing Pod from Trailblazer is a must-have when you are heading out on a wilderness excursion! 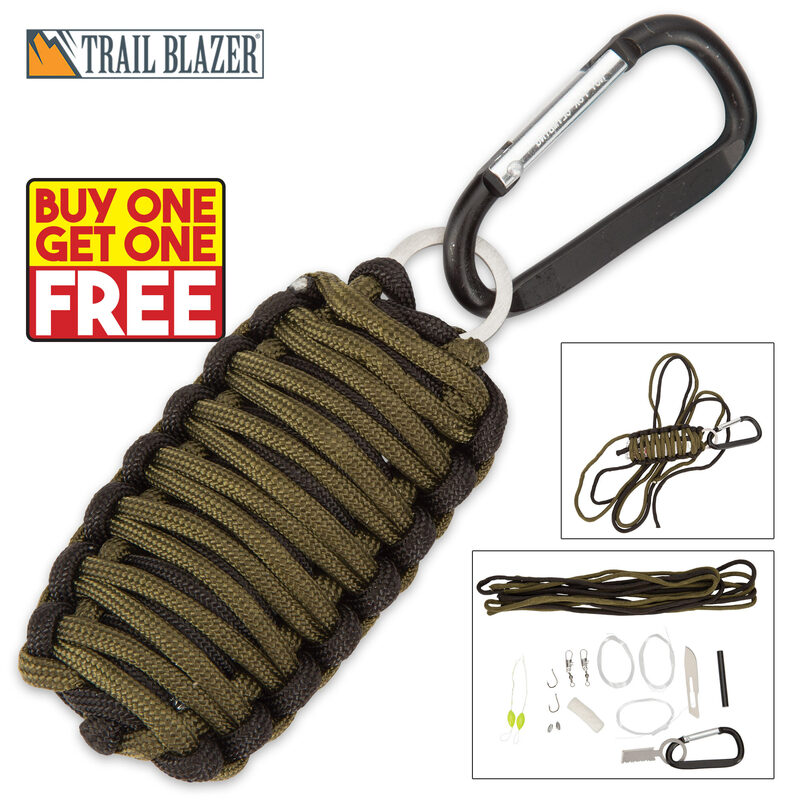 It’s small enough to just throw in your back pack or outdoors gear or clip it on with the included metal carabiner. The pod is made from tough 550-lb paracord mounted around a fire blade on a key ring. The plastic box contained inside holds a fishing kit with hook and line, floats, sinkers and swivels. Fire tinder and flint are also included to use with the fire blade. The Emergency Fishing Pod is great for your bug-out bag and vehicle, too! Since, we're giving you two for the price of one, you can have one for each location!